Knee replacement surgery is one of the most common orthopaedic procedures carried out in this country, and it is also one of the safest and most successful of all surgical procedures. By far the vast majority (about 97%) of knee replacement surgery is carried out because of osteoarthritis. Joint replacements are almost always performed because the knee pain cannot be controlled in any other way. Once successfully completed, the procedure has the ability to provide people, who have previously been severely restricted, with a more varied and active life free from pain. Total knee replacements account for by far the vast majority of knee replacements. The National Joint Registry (NJR) indicate that partial replacement accounts for only about 10% of procedures. The use of partial knee replacement (unicompartmental knee arthroplasty) varies between different surgeons and institutions. 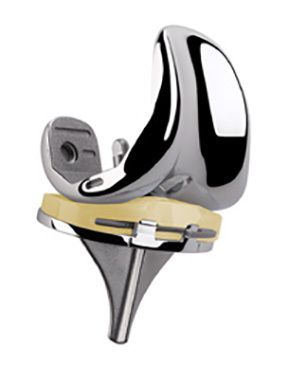 There are about 100,000 primary total knee arthroplasty (complete knee replacement) procedures carried out in the UK each year according to the National Joint Registry and the Scottish Arthroplasty Project. It is thought that this number will continue to increase due to an ageing population who have the ability and desire to maintain an active lifestyle. Satisfaction rates today are up to about 85% overall around the world, but in dedicated units which specialise in joint replacement surgery, using the latest rapid recovery techniques, satisfaction rates can be much higher. Some pain is to be expected after any surgery, with an estimated 12% of patients experiencing moderate to severe pain after all types of surgery (EFORT open Rev 2018;3:461-470). This is usually worse on the second or third day after surgery when the effects of the anaesthetic and other medication relating to the surgery have worn off. Why do you get pain after knee surgery? If you have undergone major surgery on your knee, it is normal to expect some pain, swelling and inflammation around the site of the wound after the procedure. There can be pain from bruising, caused by applying a tourniquet during the operation, which may last a few months. Pain also occurs due to the incision, and the healing tissues and internal scar tissue formation also adds to this. The surgical procedure for knee replacement is a very safe one, but it is major surgery, and very rarely problems could arise as a result of the surgical process. These include pain, stiffness, infection, the malpositioning of implants, soft tissue problems and problems associated with the nervous system. Some stiffness is normal after a knee operation, and slight stiffness may persist for months or years. However, sometimes arthrofibrosis or stiff knee syndrome may develop. In this case, scar tissue builds up in the knee causing it to shrink and tighten, causing restricted movement of the knee. The symptoms of arthrofibrosis are worsening pain, stiffness, ongoing swelling, weakness of muscles or problems moving your leg. There may also be warmth to the leg one year after the operation and finding yourself walking with a bent knee. If you suspect arthrofibrosis you should contact your doctor. Infection following surgery is very rare, but one should be alert to signs of superficial infection. These include swelling, inflammation, or heat around the wound. There may also be seepage from the wound which gives off a bad odour, fever or chills. The treatment for a minor infection is easily dealt with, but should not be allowed to escalate. More severe infection is a serious complication and may involve removal of the implant and use of antibiotics. It is invariably the case that your surgeon will make all the alignments for your new prosthesis correctly, but in the very rare cases where something goes wrong a poorly positioned implant may cause pain and will not function correctly. Computer-assisted alignment with 3D printed customised jigs can help enormously with correct positioning. Mr. Rajaratnam carries out computer-assisted alignment and favours the Signature Vanguard Knee System (from Zimmer Biomet) for his computer-assisted and patient-specific alignment surgery. The stretched and strained ligamentous tissue around the knee joint has to be re-balanced correctly by the surgeon during the replacement procedure. If this does not happen it will result in the patient experiencing pain, instability and a restricted range of movement. A correction may include the need for additional surgery. This is a complication which could arise sometime after total knee arthroplasty and which could result in pain and a limited range of movement. It can be treated quite easily through arthroscopic procedures. After surgery, it is common to experience some damage to the branching sensory nerves that detect sensation around the knee joint. This damage is rarely noticed by most patients, but some (less than 10% of patients) may be bothered by a loss of sensation around the area of the incision. The situation is not serious, and often the area affected shrinks over time and there may be some recovery of sensation. Complex Regional Pain Syndrome(CRPS). This is a poorly understood chronic condition lasting more than 6 months brought about by injury which could include surgery. It is a very rare condition (affecting only about 1 in 3,800 people in the UK per year) thought to be caused by damage to the nerves around the knee. Symptoms include excessive pain, stiffness, changes in skin colour, fluctuation in skin temperature with possibly swelling to the affected area. Many cases of CRPS improve to some extent over time. Only your doctor can give an accurate diagnosis of CRPS and you may need the help of a specialist pain doctor if you have CRPS. Prosthetic devices are very reliable and do not often cause a problem. However occasionally implants can break, become loose or wear out. This may result in pain some months or years after the operation. 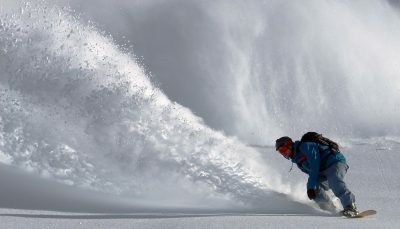 Implanted prosthetic devices rarely dislocate, but if a dislocation has occurred causing pain, you may need a revision to stabilise the knee. It normally occurs due to abnormal soft tissue balancing and is very rare after knee replacement surgery. Knee replacements may wear out and loosen over time. The latest implants last on average about 20 years, and some much longer than this. Pain may be felt, particularly when starting to move the joint after a period of rest. If the joint does wear out a revision procedure may be necessary. 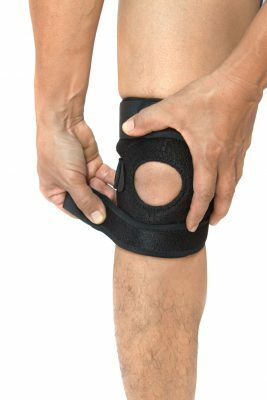 Establishing a pain-free functioning kneecap is a difficult surgical procedure, so it is not surprising that the kneecap is a common cause of post-surgical problems. Anterior knee pain can occur when first standing up, walking upstairs or riding a bicycle. The kneecap has a lot of forces acting on it, and there may be many reasons for it giving pain such as patellofemoral tracking, loosening and instability, fracture or wear. If you follow the medical advice you are given after your return home from the hospital your implant should settle down without any problems. You should be able to return to normal activities about 6 weeks after the operation. Expect the pain and swelling to last for about 3 months, and it may take a year for all the swelling to disappear. The vast majority of knee replacement procedures are successful, and problems are unusual, but if you are experiencing pain or are worried about other issues concerning your knee replacement you should contact your doctor or surgeon as soon as possible, no matter how long after the implant procedure. An examination by your doctor or surgeon will be able to get to the source of the problem and they will have access to imaging techniques and laboratory tests which will exactly identify what the problem may be. 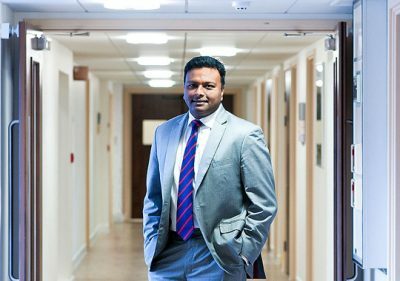 Mr Rajaratnam has been one of the leading surgeons in the UK with the highest numbers on the National Joint Registry over the last decade. He also has amongst the lowest revision rates in the UK following joint replacement surgery, and passionately believes in ‘getting it right the first time’. He welcomes patients who require a second opinion before or after their surgery.